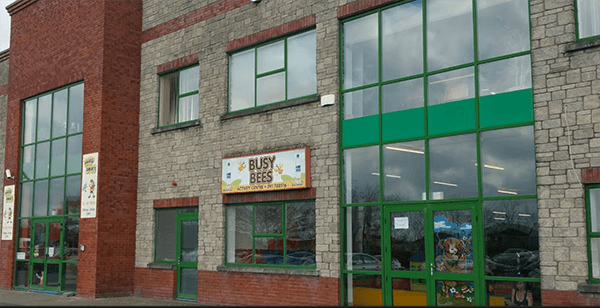 My name is Breeda and I have a children’s centre in Ireland – Busy Bees which has been open since 2003. As part of my center, in the evenings we do after dark laser parties, we cater for children up to 12 years. During the day is for the younger children and the evenings are for the older children. Our centre is 13,000 Sqft and we have around 50,000 children per year, averaging 1000 per week. I started the business on my own and in 2012 Donal came in and we expanded the business and added the roller disco and teddy mountain. Someone recommended the Battlefield Sports equipment to me who also has a children’s activity centre, so I Looked online, and was scouting about and saw the cobra model. I saw some other suppliers but they didn’t look suitable for what I was looking for being a children’s activity centre. I really liked the way it was packaged, how it was easy for me to set up, easy for me to do, it was a no brainer really that, that was the package I’d go for! I genuinely thought we were doing this for the older boys but as it turns out the girls are equally willing which I wasn’t expecting at all. I wasn’t marketing towards the girls or expecting to get the girls so it was a surprise that they wanted to do it too. Before I purchased the equipment, One of the things I was concerned about was our ability to do it, to run the sessions ourselves. Other concerns were if it was a good investment, if we were going to get a good return on it, these were the things that were worrying for me. I’m no tech genius so I wanted to be sure that it wasn’t something that we were going to spend all of this money on to then be lying in boxes where it couldn’t be used because it was too difficult to figure out or worse if anything went wrong with them, that we wouldn’t have been able to do anything with them. The Battlefield sports equipment is easy to use, easy to set up, easy to maintain, easy to run parties and is really durable which it needed to be. It completely solved the problem we had in terms of finding a cool activity for the older kids and adding additional revenue to the business. We are happy we now have something for all children to do up to the age of 12 and it has enhanced the business. We got our ROI in the first year which considering we only use the equipment in the evenings for our after dark laser tag sessions is pretty good. There is so much more growth for us as a business with this equipment which is a good place to be. 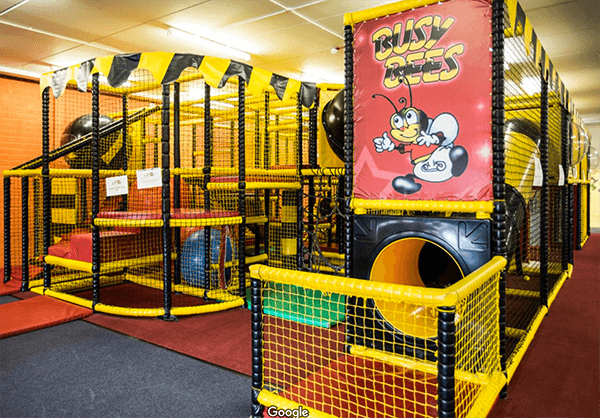 Our clients all say laser tag is fabulous, the kids love it and say the experience is completely different to other indoor laser tag places and now we are getting bookings for parties from parties! The staff love running the parties and running different games. David has been Absolutely wonderful. I have to say when we ring David with a problem, it’s solved, it’s sorted, We are coming up to 2 years of having the equipment and everything is still working perfectly and there are no problems and this is only because David can talk us through any issues over the phone, if something goes down we are never out of equipment and that’s big for us. With David, There is always a call back and it’s always sorted, we can’t recommend him enough. I am very happy with the Battlefield Sports equipment and it has definitely delivered. This year we are looking to grow the laser tag side of the business, potentially take it outdoors in the summer time and keep on running awesome parties. You can see the awesome busy bees virtually on google by clicking here; or check out their facebook page here.